As our founding location, our Auburn University operation has grown to host more than 400 tailgate groups at each home football game. 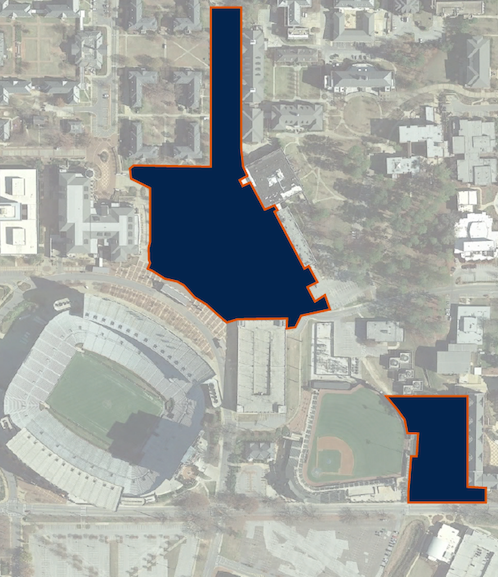 We have secured prime tailgating locations, with sites reserved directly outside of Jordan Hare Stadium on the Campus Green and directly off of Tiger Walk beside Plainsman Park. With a variety of tailgating packages and catering and beverage services available to our guests, we provide everything you need for the ideal tailgate. Whether you're hosting five guests or 2,000, Tailgate Guys offers packages that will meet all your needs for game day success. Picnic pack: cups, plates, paper towels, utensils, etc. Tailgate Guys is excited to serve fans at Tailgate at the Park at Auburn's AG Heritage Park located at the corner of Donahue Drive & Samford Ave.